You need more rigidity in your CNC frame. In the meantime you can slow down your feed rate. Those lines in the edges look like your passes are not perfectly tracking. You should not have to sand the edges at all. Your cuts should not look so rough. Post some pics of your machine. Maybe I can help. The edges should look more like this. Look at the button hole and joystick cutouts. I couldn't find a pic before I put the T molding on. These are not even that great. I was squeezing the last smidge of life out of a cheap end mill. I hope it is that simple. That banding looks like a repeatability issue. Either the frame is not rigid enough, or you are pushing the router too hard, or both. Some pics of the CNC machine would be helpful in sorting that out. Here are some generic MPCNC pics. 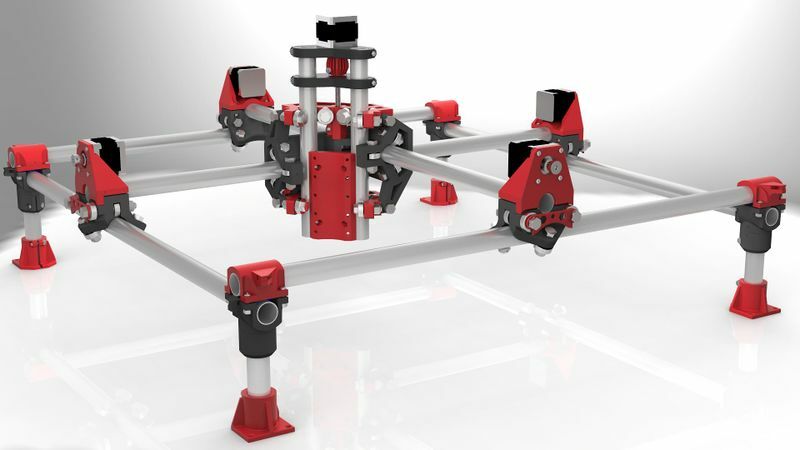 There's a ton of related info at the V1 Engineering forums run by Ryan, the MPCNC designer. Ugh. Unsupported rails. That will be good for extremely light duty at best. Slow feeds are your best bet. That whole structure will sag in the middle. There is not much you can do about that. That frame looks like it is made for a non contact tool like a laser. The first CNC machine I built had unsupported rails. Slow feeds yielded good results. My machine was much heavier than this one though. Steel pipes and lead screws. Ugh. Unsupported rails. That will be good for extremely light duty at best. Slow feeds are your best bet. That whole structure will sag in the middle. I agree that a slow feed rate is your friend, but cutting MDF shouldn't be a problem. The MPCNC can mill aluminum with the right combination of bit, spindle, and feed rate. 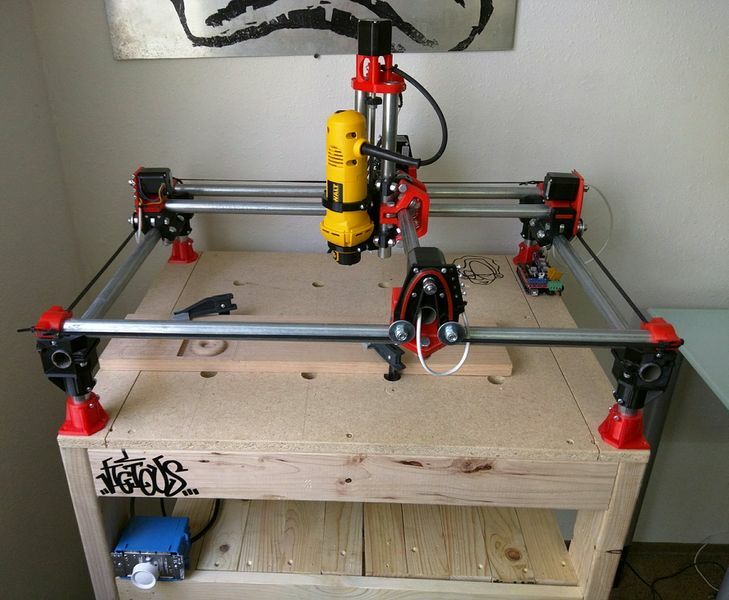 The designer recommends a typical 2' x 2' working area, with tube supports for any axis over 4' or go with the newer LowRider design for a large working area. One technique mentioned on the MPCNC forums is to rotate the tubing 180 degrees from time to time so any sag induced by gravity is then reversed by gravity. If that fails, replacement conduit is relatively cheap. All things considered, it looks like a great way to get started with CNCs for under $500. For 500 bucks it is worth a shot. It seems to be more capable than it looks. The OP probably needs to slow down and use an end mill instead of a router bit. Thanks for the info PL1. I’m actually going to build one of those. I have all the parts to it and just need to assemble. Wow, it's borderline cheaper to cobble your own CNC machine and print out one of these bartops versus buying one from Mr. We and his fabulous garage storefront.